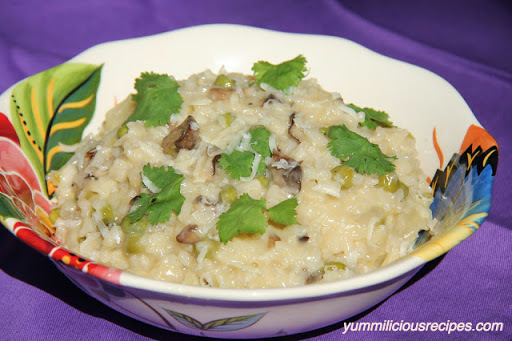 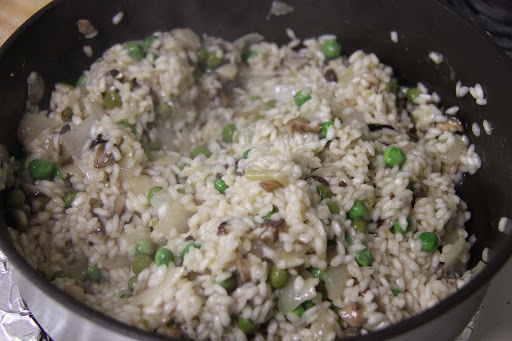 Risotto is an Italian comfort food made with Arborio Rice and cooked in some wine and stock until it reaches a nice creamy and nutty texture and flavor.Its perfect for a date night paired with a glass of wine. 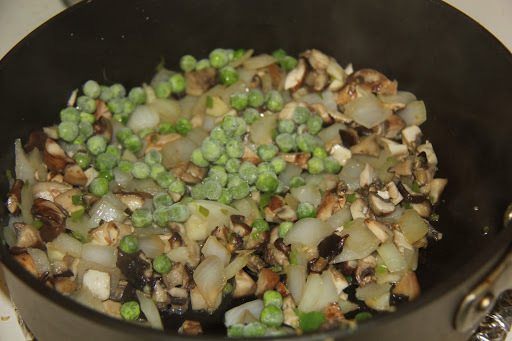 1.In a Large pan heat 1 tablespoon of olive oil and add garlic and saute for half minute. 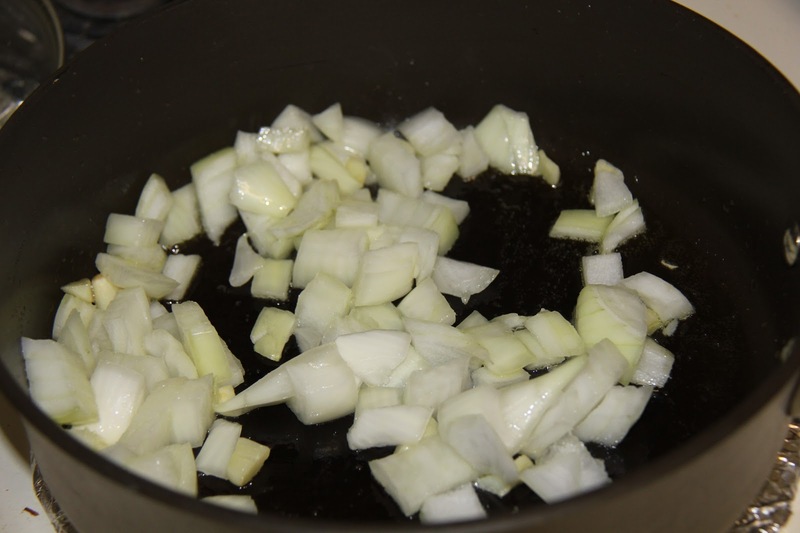 2.Add the onions and saute for 1-2 minutes. 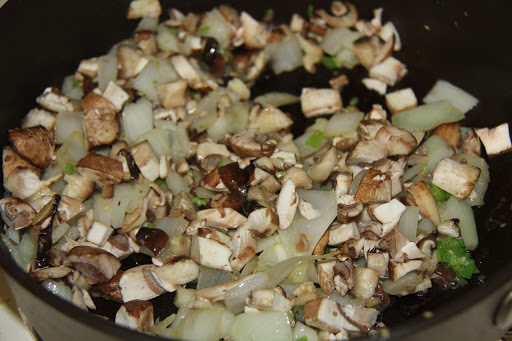 3.Add shiitake mushrooms and saute for 2-3 minutes. 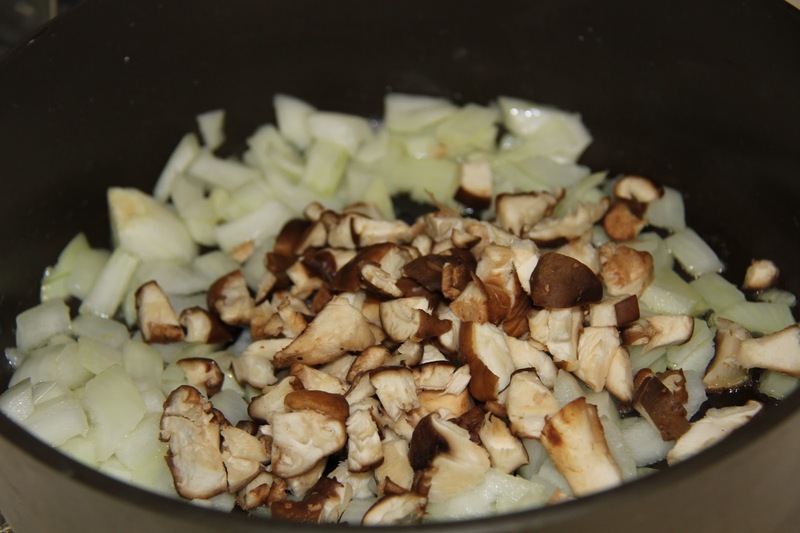 4.Add the crimini mushrooms and saute for 2-3 minutes. 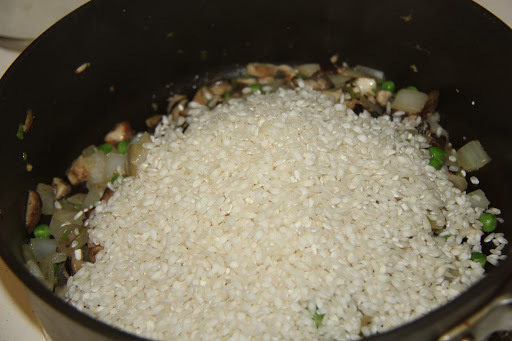 6.Add rice and saute for a minute. 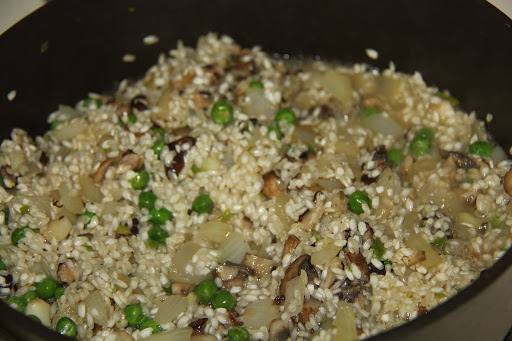 7.Add the champagne and on medium heat keep stirring until all the liquid is absorbed. 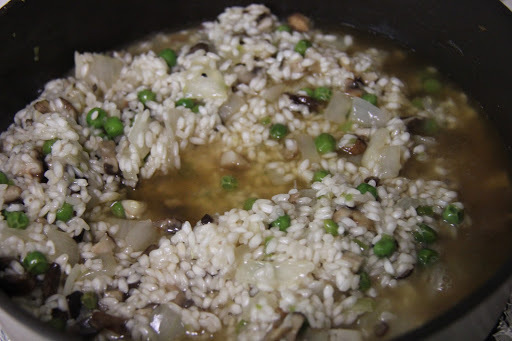 8.Add 1 cup of broth,salt and keep stirring until all the liquid is absorbed. 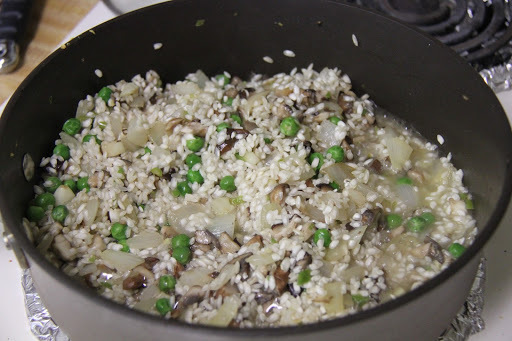 Repeat the process by adding 1 cup broth and stirring until the liquid is absorbed. 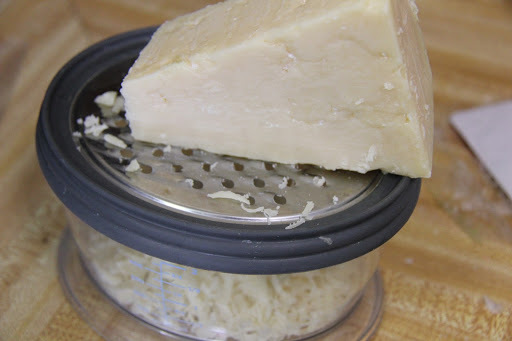 9.Grate parmesan cheese and keep on the side. 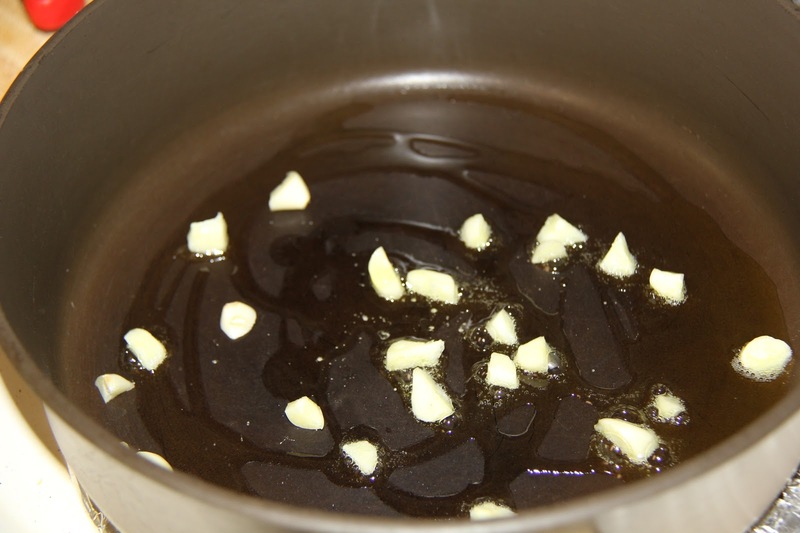 10.When you have added your last cup of broth, check your salt and pepper and while it’s still creamy as shown in image, add parmesan cheese,stir and turn off the stove. 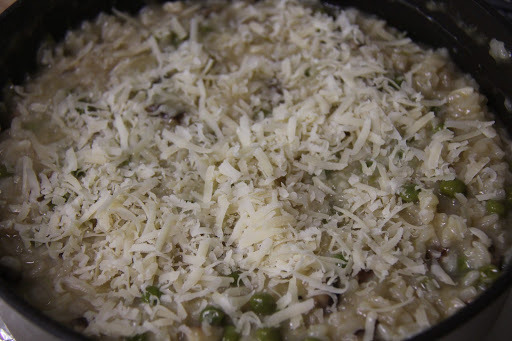 If your risotto is not cooked after using all the broth, continue to add warm water or broth until you achieve the desired consistency. 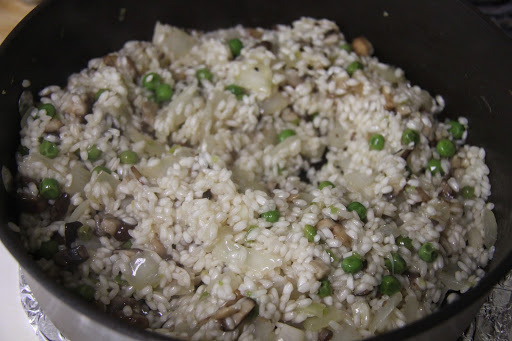 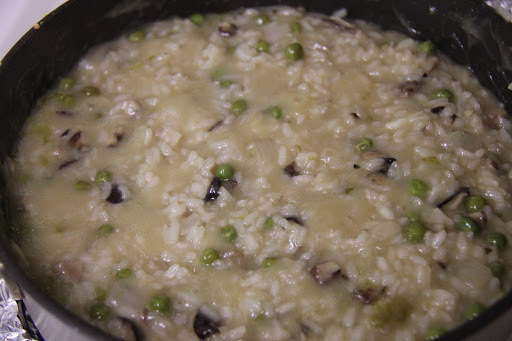 For an ideal risotto,the key is the rice has to absorb the liquid at a slow pace to become tender and creamy.